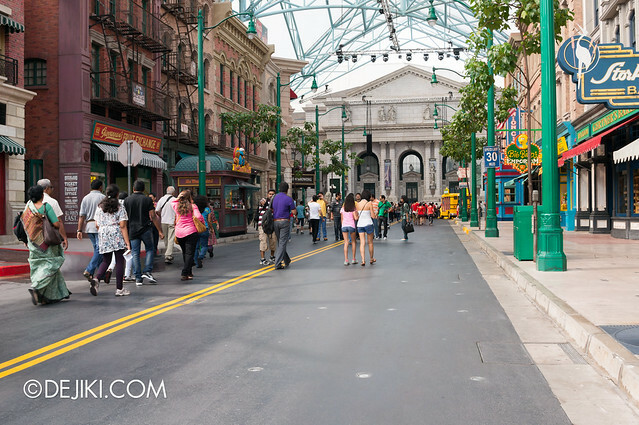 This month’s park update will focus mainly on Sesame Street as the ride will be open to public soon. LATEST! 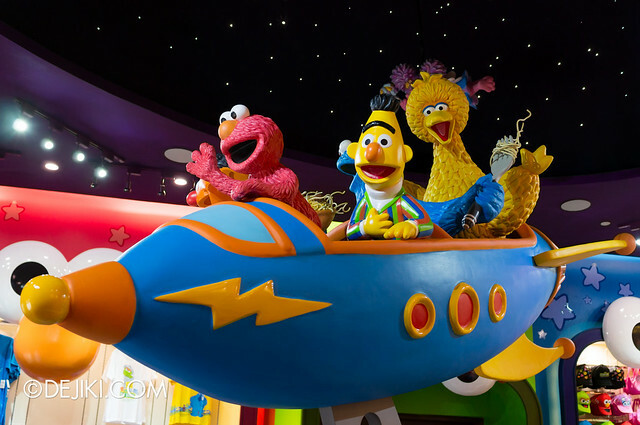 Sesame Street Spaghetti Space Chase – overview and review now available! Click here to read the world’s first and most detailed review! 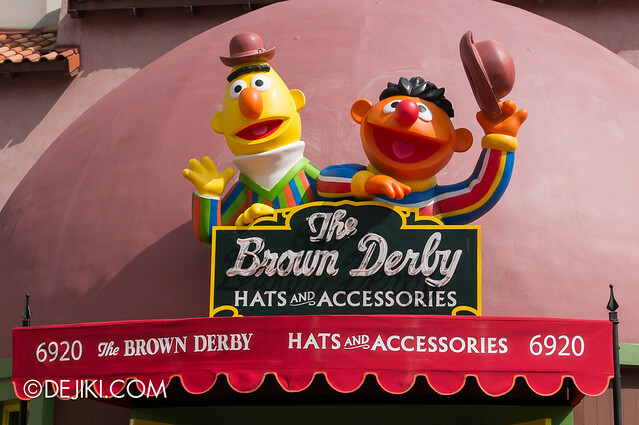 The Waving Elmo figure, which was at the top of The Brown Derby, was replaced with Bert and Ernie, with derby hats of course – cute. Perhaps it was odd to have an Elmo here when the Super Elmo (on Spaghetti Space Chase marquee) is just across the street. And then there’s another Elmo figure inside the store, which probably explains why some people felt that USS added “Sesame Street Land” instead of new attractions at New York zone. The repainted yellow doors seem to echo Sunny Days. Missed this in the last update. 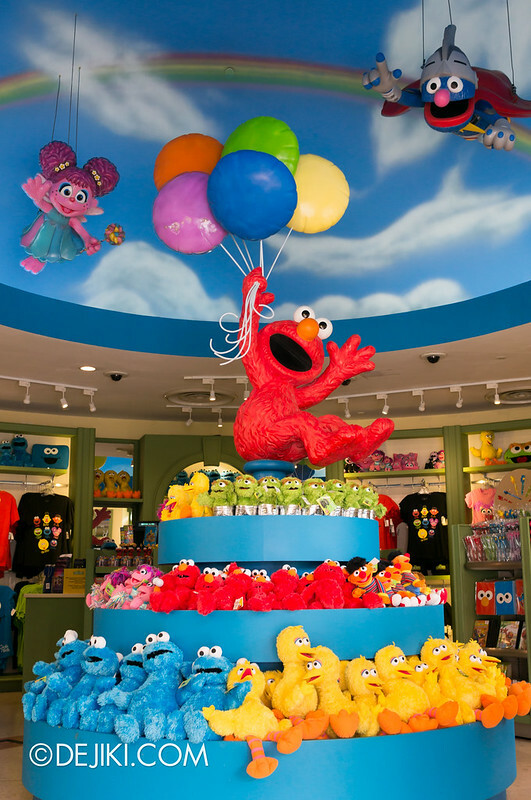 Inside the store, the shelving unit in the middle has been recoloured blue, and the Elmo figure is also replaced (originally Elmo was hugging some toys). 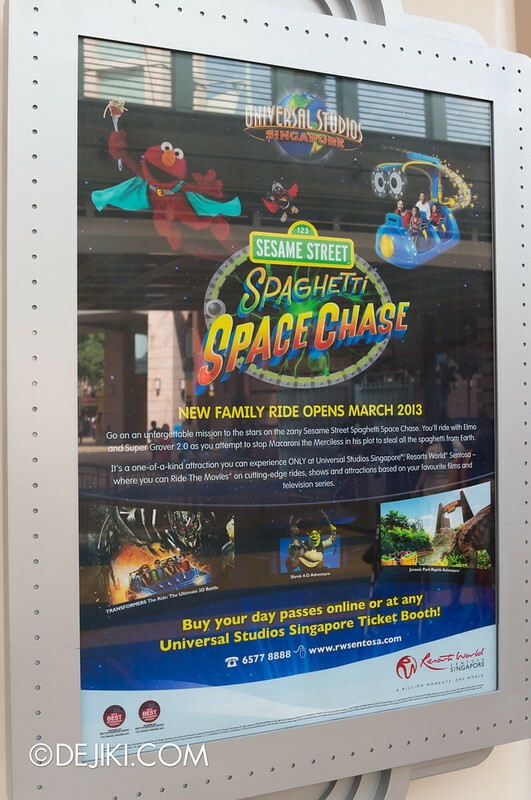 Staff at the park were replacing posters with this new one, stating that Sesame Street Spaghetti Space Chase will be open in March 2013. 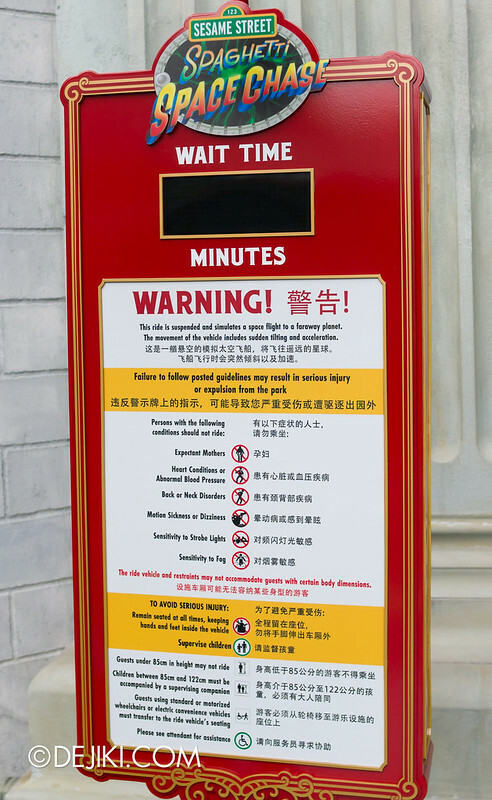 The ride safety information sign has returned with one noticeable change. The updated sign omits Fear of Heights (in the category of “persons with following conditions should not ride”). Perhaps elevated height of ride vehicles was not as severe as initially thought. Previews for Annual Passholders and RWS Invites members (with invitations to event) will be held this coming weekend (16th and 17th February). If you are attending the preview, I’d really appreciate if you could post your thoughts about the ride over at this entry! I have heard some comments about the ride from people who have attended earlier previews. 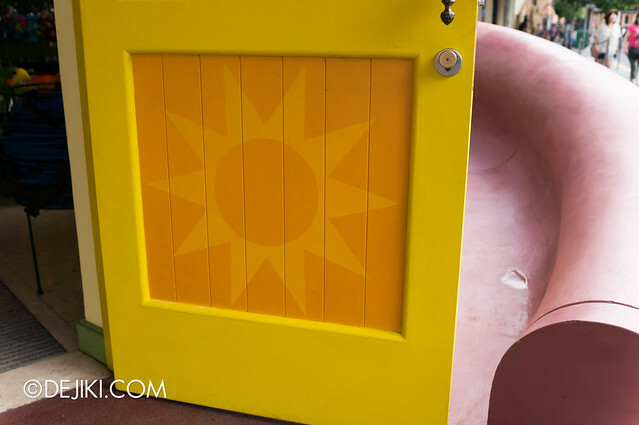 In short: It is a mix between the park’s gentle rides – such as Treasure Hunters and Madagascar: A Crate Adventure. Most commented that the ride is clearly made for children. That pretty much confirms what the ride is supposed to offer – it is a family ride, so please do not be disappointed because there are no thrilling drops, 3D projection screens, inversions or fancy animatronics. 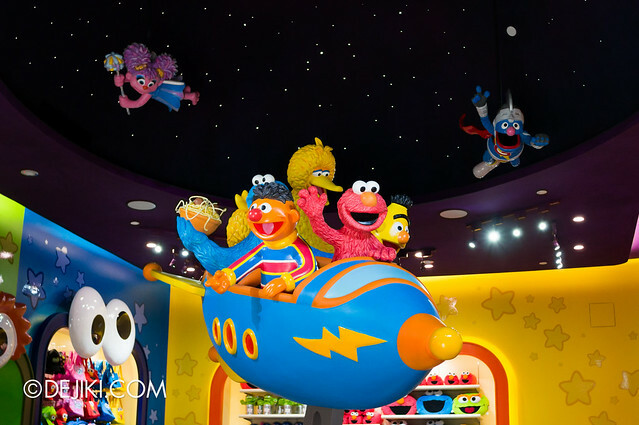 It is definitely an attraction where families with young children can enjoy together and meet all the Sesame Street characters. Having suspended ride vehicles will be a nice change, because I don’t think there is a similar dark ride in the region. There has been much acclaim about the ride’s outer space scenes, though. LATEST! 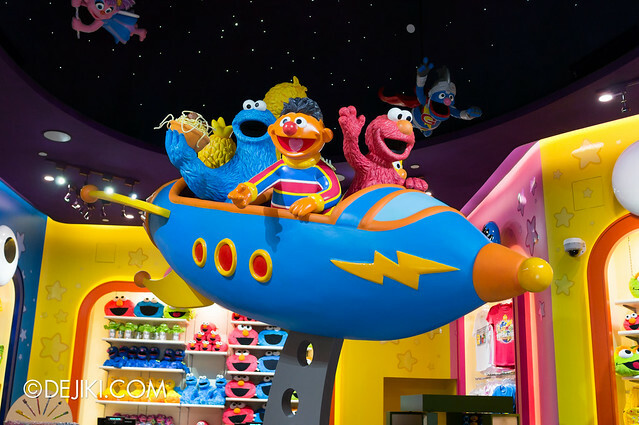 Sesame Street Spaghetti Space Chase – overview and review now available! Click away! 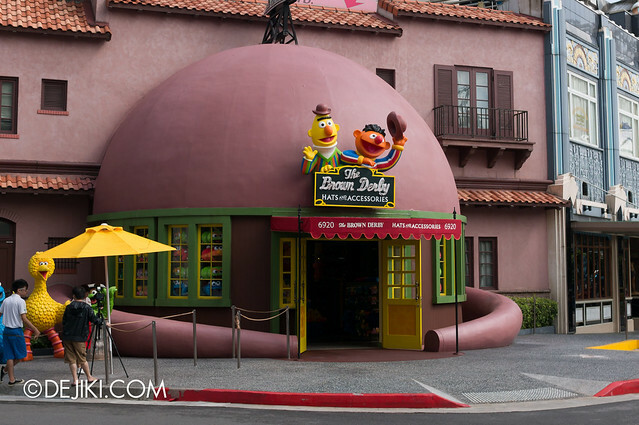 The interior of Big Bird’s Emporium received an upgrade with the addition of Sesame Street character figures. The new centerpiece – a rocket with Sesame Street characters is certainly a lot better than the plain shelves it replaced. It even matches the design of the store floor perfectly. Here is a shot showing all the characters in the store. 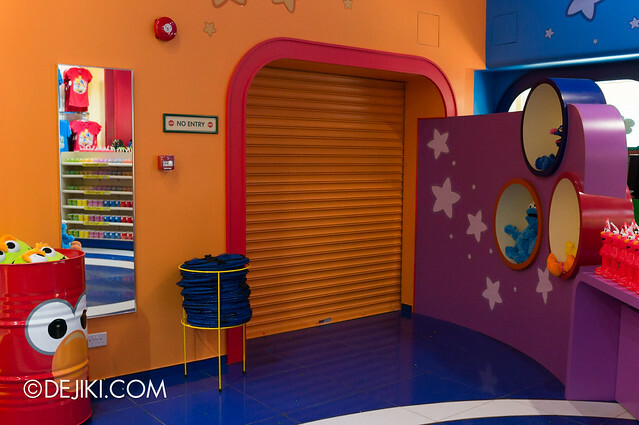 And here’s one of the ride exit – no longer blocked by a table of merchandise due to the preview sessions earlier. The Press A Penny machine, as introduced in the previous park update, was shifted a few metres away, into Loui’s Pizza Parlour. 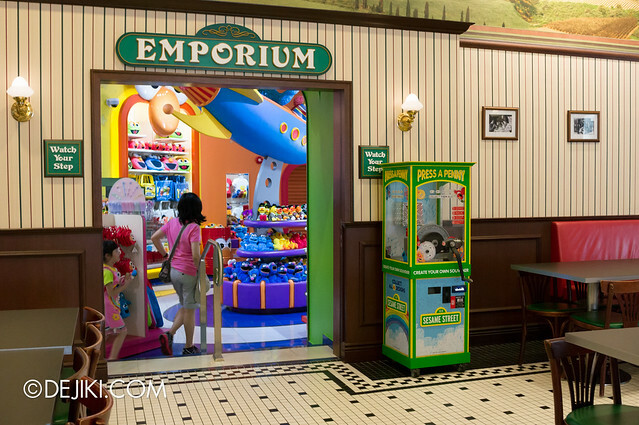 It’s a better location (as the Emporium is cramped as it is) but it also means that the machine will only be accessible when the restaurant is open. As part of the park’s Chinese New Year celebrations, 5000 red packets (or more like gold packets) are given out each day from now till 16 February. Inside each packet is a prize, ranging from discounts and vouchers to the top prize of an Universal Studio Singapore Annual Pass (only 3 of such prize given each day). 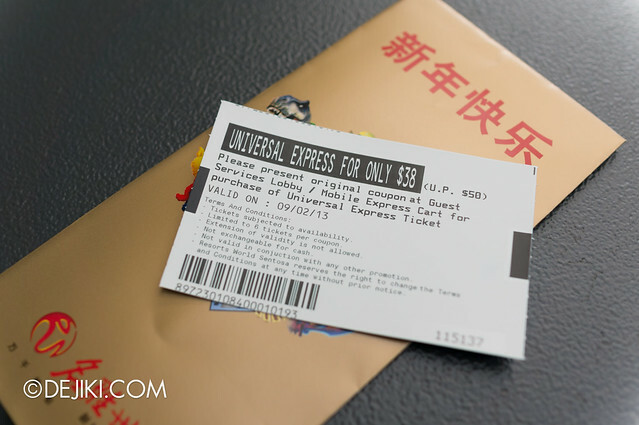 These packets are given out to park guests at the entrance (past the turnstiles) so be sure to collect them from a Universal Studios Singapore crew member. I mean I really like the theme of adventure…. It’s just that it is poorly executed in Treasure Hunter. It is a slower ride, but that’s to be expected. 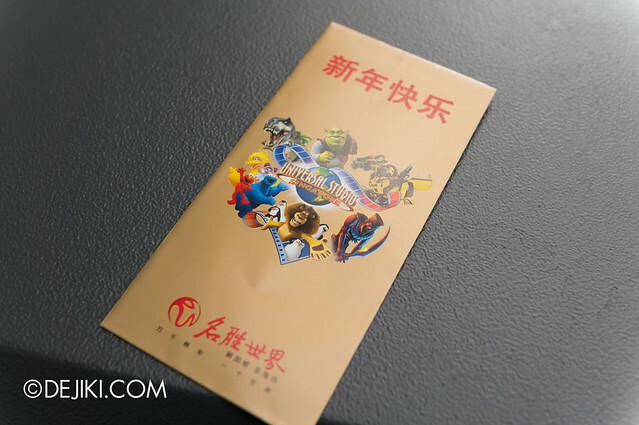 Still, the design is definitely a step up from Treasure Hunters, even though it is a ride targeted at young children. Well I generally enjoy slow rides, but I do hope there is a lot to see and discover! I rode a suspended ride somewhere in China when I was very young. It was really well designed. The space below us was huge and full of scary decorations. There was a mix of horror and fantasy. I only stopped crying when we reached the fantasy part…..
That was one of my favorite rides. That sounds like a very intriguing attraction. Do you remember which theme park was it located? Hi dejiki just came back from USS today and it was a blast! Sesame street was awesome with the animatronics all working and the interactive screens at full function. Really, USS is bringing out the full force with the interactive screens better than Transformers. I mean it. Though they banned photography in the ride. Really, the queue line is short and cannot accomodate that many people and the external queue is bigger than the interior queue. Overall, along the likes of Peter’s Pan Flight/ET but much better in terms of theming and the interactive. I would give it a 9.5/10 due to the earlier technical difficulty. Went there today at 10am for the annual pass preview but was not ready due to technical problem. After waiting about 15 minutes, the entrance opened and took the ride 3 times. Ride was better than Madagascar Crate Adventure but much much shorter. The outer space segment was rather convincing. If Transformers is a 10/10 and Madagascar is 5/10 in terms of excitement, I give Space Chase a 6.5/10. Interesting enough for an adult and I enjoyed the ride no doubt.